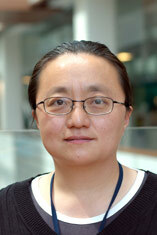 Xiaoying has broad interests in control engineering and software engineering.Her recent research work has been in GPS, inertial navigation systems, data fusion, robotics, sensor networks, Internet monitoring systems, agile software development methodologies, web technologies, web design methodologies, web architecture framework, analytical models of software development, and value-based software engineering. She has many years work experience in aeronautical industry, semiconductor industry, and software industry. maintenance productivity in adaptive and perfective phases. The modelling approach is from economic view point. The productivity model considers the economic value of the maintenance phase, pre-committed fixed cost and variable cost consumed in adaptive/perfective maintenance. Influence factors to the productivity are analysed using simulation. The simulation provides a tool for IS project managers to tune the project parameters to obtain the optimal productivity in adaptive/perfective maintenance phases. Over the period of 2011-2013, there was a spate of bankruptcies of medium-to-large Australian construction contractors (many of whom were well-established), coinciding with a prolonged decline of the property market. Anecdotal evidence suggests that underpricing played a major role in the collapse of these companies and the financial misfortune of many major Australian construction contractors. On the other hand, anecdotal evidence also suggests that underpricing can be an effective tactic to penetrate markets or weaken competitors when used as part of a strategic mix—a double-edged sword. Because of the political sensitivity of the topic of underpricing, there has been a dearth of research in this area. This study investigates the extent and consequences of the practice of underpricing (in the Australian context), where it is defined as the submission of a tender price at a significantly lower level than the best estimate for the costs, profit margins, and risks of the construction project. Drawing from the literature on construction tender-price formulation, we develop a framework that separates the motives for underpricing into need-for-work and marketing-based competitive pricing; and predict the consequences of the practice of underpricing in terms of adverse financial consequence or profitability in circumstances driven by the two different motives. The framework is validated through data analysis based on a survey of the members of the Australian Institute of Quantity Surveyors and randomly selected large contractors. Identifying impact factors on software development productivity and the static relations between the impact factors and performance has been the main focus in the literature. Insight into the dynamic relation between key factors and performance dimensions would expand and complement the conventional wisdom on software development productivity. This is the first study to present such dynamic relationship based on an Analytical Theory of Project Investment. Through simulation, we have demonstrated the dynamic relationship between project duration, the uncertainty level of the perceived project value, the fixed project upfront cost and software development productivity. The findings provide practitioners with insight into how these factors interact and impact on software development project productivity. Tourism industry plays a crucial role in the economics growth in countries of South East Asia and hence the demand for rich local tourist information for visitors. In these countries, there are unique deciding impact factors to visitor journey such as constraints in culture, laws, and festivals. Such special information has not been available or implemented in general search engines so far. In this paper, we design an ontology for Thai travel industry to support an intelligent finding of these local events and their constraints using semantic web. The primary contribution of this paper is a new approach to design ontology for Thailand travel industry on both general information and specific dynamic local information using Domain Ontology Graph (DOG) and location based services. As a result, this ontology design will be applied to an intelligent searching for making decision of tourists. This ontology design will be used in semantic tourism applications in the future. Considering that the GPS carrier tracking loop is fragile in high dynamic and weak signal environments, carrier tracking loop with information aided from inertial sensors is designed in this paper. The conflicts between loop noise and dynamic stress are analyzed, which are existed in the bandwidth design of carrier tracking loop. To address this problem, the information of inertial sensors is brought to the carrier loop design, which takes advantage of the relation between relative motion and Doppler frequency shift. Simulation results indicate the inertial sensors aided tracking loop could improve the performance of anti-interference and anti-dynamic significantly. This paper presents a system design approach for vehicle positioning systems. Global Navigation Satellite Systems (GNSS) and inertial sensors are major positioning measurements used in this approach. A number of phases are designed in this approach including: system architecture design using an estimator, GNSS error modeling, estimator low level design, simulation and experiment design, frequency domain simulation, time domain experiment, sensor selection and deployment decision making. This approach enables to model GNSS errors from end user's view point, and choose low cost inertial sensors to meet positioning system requirements using a new sensor selection criterion. Detailed information on ACM DL web site: http://dl.acm.org/citation.cfm?id=1969389.1969400 "BSPNN: boosted subspace probabilistic neural network for email security"
Kong, X 2008, 'A shaping filter approach to model GPS errors', International Journal of Vehicle Information and Communication Systems, vol. 1, no. 3-4, pp. 181-194. Copyright © 2008 Inderscience Enterprises Ltd. Although Differential Global Positioning System (DGPS) provides positioning information with high precision, when DGPS is unavailable in some situations, stand-alone GPS has to be used in vehicle navigation. The accuracy of standard GPS is low due to position measurement errors. This paper presents a frequency domain modelling approach to model GPS errors and increase GPS positioning accuracy. This approach models GPS errors using shaping filter. External sensors are employed to reduce GPS errors. This paper also presents an approach to select external sensors to meet the accuracy requirements of positioning system. Although Differential Global Positioning System (DGPS) provides positioning information with high precision, when DGPS is unavailable in some situations, stand-alone GPS has to be used in vehicle navigation. The accuracy of standard GPS is low due to position measurement errors. This paper presents a frequency domain modelling approach to model GPS errors and increase GPS positioning accuracy. This approach models GPS errors using shaping filter. External sensors are employed to reduce GPS errors. This paper also presents an approach to select external sensors to meet the accuracy requirements of positioning system. Kong, X., Liu, L. & Lowe, D.B. 2004, 'Critical Feature Method - A Lightweight Web Maintenance Methodology for SMEs', Journal of Digital Information, vol. 5, no. 2. Architecture frameworks have been extensively developed and described within the literature. These frameworks typically support and guide organisations during system planning, design, building, deployment and maintenance. Their main pupose is to provide clarity to the different modelling perspectives, abstractions, and domains of consideration within system development. In dpoing so they allow improved clarity with regard to the connections between the different models, and the selection of models tht are most likely to capture salient features of the system. In this paper we present an Architectural Framework which takes into account the specific characteristics of web systems. The framework is based around a two dimensional matrix. One dimension separates the concerns of different participants of the web system into perspectives. The second dimension classifies each perspective into development abstractions: structure (what), behaviour (how), location (where) and pattern. The framework is illustrated through examples from the development of a commercial web application. Kong, X, Nebot, EM & Durrant-Whyte, H 1999, 'Development of a non-linear psi-angle model for large misalignment errors and its application in INS alignment and calibration', Proceedings - IEEE International Conference on Robotics and Automation, vol. 2, pp. 1430-1435. This work presents a general nonlinear psi-angle approach that does not require coarse alignment. In this psi-angle model, the three misalignment angles are assumed all large. Three states are used to describe three psi-angles rather than the four used in previous works. The approach is identical to the standard small error methods when the process errors diminish to small angles. The position and velocity error models are also presented. Standard extended Kalman filter techniques are used to solve the nonlinear data fusion problem. Experimental results of in-flight Inertial Navigation Systems (INS) alignment and calibration are presented considering total uncertainty in azimuth orientation using a low cost Inertial Measurement Unit (IMU) aided with a Differential Global Positioning System (DGPS). The increasing prevalence and sophistication of wireless sensors is creating an opportunity for improving, or in many cases enabling, the real-time monitoring and control of distributed physical systems. However, whilst a major issue in the use of these sensors is their resource utilisation, there has only been limited consideration given to the interplay between the data sampling requirements of the control and monitoring systems and the design characteristics of the wireless sensors. In this paper we describe an approach to the optimization of the resources utilized by these devices based on the use of synchronized state predictors. By embedding state predictors into the sensors themselves it becomes possible for the sensors to predict their optimal sampling rate consistent with maintaining monitoring or control performance, and hence minimize the utilization of limited sensor resources such as power and bandwidth. Tran, TP, Tsai, PC, Jan, T & Kong, X 2010, 'Network Intrusion Detection using Multi- expert Classification and Voting Techniques' in Yagang Zhang (ed), Machines Learning, In-Tech Education and Publishing, Vienna, Austria, pp. 267-290. As the result of recent advent and rapid growth of the Internet, there have been an increasing number of corporations relying on computers and networks for communications and critical business transactions. Because of the network complexity and advanced hacking techniques, such reliance on computer networks often presents unanticipated risks and vulnerabilities. A huge volume of attacks on major sites and networks have been recently reported including those of private companies, government agencies and even military classified networks. Therefore, it is important to deploy protection measures for networks and their services from unauthorized modification, destruction, or disclosure of sensitive information. Intrusion detection systems (IDS) have emerged as an important part of todays network security infrastructure which can monitor the network traffic and detect possible attacks. Currently existing IDS suffer from low detection accuracy and system robustness for new and rare security breaches. © 2017 American Society of Civil Engineers. Cost overrun of infrastructure projects is widespread and represents significant financial risks to stakeholders. The cluster analysis on the data of 41 commonly cited causes identified four dimensions of causes: scope changes, market and regulatory uncertainty, inadequate planning and control, and unforeseen circumstances. Subsequently, these four dimensions were then used to develop a risk-based cost contingency estimation model (RBCCEM) to improve the accuracy of cost contingency estimation which was then validated using a bootstrapping approach. The accuracy of the cost estimation measures was used to compare RBCCEM with other methods, namely fixed cost contingency, reference class forecasting, and a hybrid method. The findings suggested that RBCCEM could be more accurate as the error decreased by 10%. As a result, RBCCEM produces contingency estimates that are more consistent and brings project costs closer to actual costs than alternative approaches, such as reference class forecasting (RCF). the optimal productivity in adaptive/perfective maintenance. The mainstream approach to software development productivity has been on identifying factors of impacting on software development productivity and the static relations between the impact factors and performance. This paper presents a dynamic relationship based on economic theory. The findings provide practitioners with insight into how these factors interact and impact on project productivity. Through simulation based on the Analytical Theory of Project Investment, we have demonstrated the dynamic relationship between project duration, the uncertainty level of the perceived project value and the fixed project upfront cost. Zero velocity update (ZUPT) is an effective way to correct low cost inertial measurement unit (IMU) errors when it is foot-mounted for pedestrian navigation. The stance phase in steps provides zero velocity measurement for inertial sensor error correction. As the errors of IMU estimated position and velocity grow rapidly with time between each correction, ZUPT applied at each step leads to sharp corrections and discontinuities in the estimated trajectory. For motion analysis and visualization, these large corrections are undesirable. Consequently, the implementation of smoothing for ZUPT-aided INS is considered to eliminate the sharp corrections. In this paper, we propose a closed loop Rauch-Tung-Striebel (RTS) smoother using a 24 error states extended Kalman filter (EKF) implement on our previous pedestrian navigation systems. Unlike common RTS smoother which operates as off-line processing mode, a near-real-time stepwise smoother is implemented to eliminate the sharp corrections over the steps. The impact of the near real-time smoothing filter for different step manners (walk, run and climb stairs) combined with the Constant Velocity Update (CUPT) concept we proposed previously is illustrated and analysed. Experimental results show that the proposed method can dramatically improve pedestrian navigation smoothness. Localization is one of the basic prerequisites of sensors in various applications of wireless sensor networks. A beacon is a special sensor with geographical knowledge and which can be employed to help localize general sensors. A mobile beacon is treated as a replacement for many static beacons since it is movable and flexible and often powerful. The path of a mobile beacon will determine the rate of coverage and accuracy of position determination that it supports. Whereas a static path is planned before any localization action, a dynamic path is determined in real-time based on the demands of initially unknown sensors and hence can be more efficient than a static path. In this paper, we proposed a method of localization employed a mobile beacon whose path will be selected according to the real-time information of unknown sensors. The method is designed to be both thrifty in both energy consumption and economical cost, and lightweight in terms of computation load. Simulation results show that the method is lightweight but effective and efficient. Information infrastructure for healthcare is undergoing a transformational shift in the way it is perceived and used by health professionals. This is driven by the need to unify patient records seamlessly, and integrate emerging technologies in the Sensor-Actor Network (SANET) realm that incorporate patient sensory systems such as wireless sensor networks and body-area networks. By harnessing The Open Group Architecture Framework (TOGAF), it ensures integrity is considered throughout development processes by analyzing the problem space and scenarios, constraints, requirements, risks, enablers and inhibitors of the legacy application architectures. The proposed architecture with TOGAF components incorporating SANETs addresses the need to harmonize legacy operations in a consistent manner with industry best practice to ensure universal patient records are comprehensive and secure, thus protecting against identity theft and adhering to privacy regulation compliance. Sensor data with geographical information become ubiquitous with development of location base applications in various businesses. There is no exception to Wireless sensor network (WSN) as it is getting more practical under the booming of semiconductor industry. Localization of WSN usually depends on beacons that equip with GPS or GSM module. The cost of finance and energy hamper the application of WSN. Robot or flight vehicle called Mobile Beacon (MB) can relieve the issue and enhance the application area of WSN. Based on the framework we proposed in , we renovate the algorithm to find the best position for MB in every step by grouping weight of cosine similarity to mining the relation between responsible sensors. The MB machine works in an autonomous mode to find dynamic path without any supervision. In simulation, it is proved that the novel method makes the best of observation and covers unknown sensors as many as possible without heavy computation and struggle of energy. With appropriate parameters, the method can reach a 90% average coverage rate on any random distribution of sensors. A new modeling approach to analyze the impact of schedule pressure on the economic effectiveness of agile maintenance process is presented in this paper. Based on a causal loop diagram the authors developed earlier and the analytical theory of project investment, this paper analyzed the effect of schedule pressure on the economic effectiveness. Preliminary results show that maintenance effectiveness is low when schedule pressure is high, and is high when schedule pressure is low. Global Navigation Satellite Systems (GNSS) provide positioning service to civil applications. At the end user's side, these positioning services will have different position accuracy levels when satellite signal configurations and receiver noise levels are different. In this paper, a position error modeling is presented using a black-box approach. Using this approach, end users will treat the entire signal biases and receiver noises as a black-box transfer function. No efforts are made to model many different individual error sources of satellite signals and receivers. Further, a different type of sensor is chosen to aid the error de-correlation. Experimental results in different configurations are presented. A major trend in the evolution of the Web is the rapidly growing numbers of web-enabled sensors which provide a rich ability to monitor and control our physical environment. The devices are often cheap, lightweight, rapidly deployed and densely interconnected. The current dominant models of Web-based data monitoring are not well-adapted to the operational needs of these devices, particularly in terms of resource utilization. In this paper we describe an approach to the optimization of the resources utilized by these devices based on the use of synchronized state-observers. By embedding state observers with a minimized footprint into both the sensors and the monitoring Web client, we show that it is possible to minimize the utilization of limited sensor resources such as power and bandwidth, and hence to improve the performance and potential applications of these devices. Lowe, D, Murray, S & Kong, X 2009, 'Using synchronized lightweight state observers to minimise wireless sensor resource utilisation', WINSYS 2009 - International Conference on Wireless Information Networks and Systems, Proceedings, pp. 5-12. Although DGPS provides positioning information with high precision, when DGPS is unavailable in some situations, stand-alone GPS has to be used in vehicle navigation. The accuracy of standard GPS is low due to position measurement errors. This paper presents a frequency domain modeling approach to model GPS errors and increase GPS positioning accuracy. This approach models GPS errors using shaping filter. External sensors are employed to reduce GPS errors. This paper also presents an approach to select external sensors to meet the quality requirements of positioning system. Existing design methods used for developing webcentric systems are mostly adapted from methods for designing traditional software systems. Web-centric systems however differ from traditional software systems, in terms of both organizational and technical characteristics. Effective design methods for webcentric systems need to address these characteristics specific to web-centric systems. This paper proposes a design method for web-centric systems. The de-sign process comprises three steps: prototyping, information modeling and sys-tem architecture design. The method is differentiated from existing design methods in that the design process commences from user interface prototyping. Information modeling activities are further enhanced in this method. To cope with the complexity of web systems, each design step is partitioned into both structural modeling and behavioral modeling. The design method is illustrated by applying the method to the design of a commercial web application. Web applications have rapidly become critical to the interaction that organisations have with their external stakeholders. A major factor in the effectiveness of this interaction is the ease with which users can locate information and functionality which they are seeking. Effective design is however complicated by the multiple purposes and users which Web applications typically support. In our earlier work we described a model for evaluating the overall navigation entropy of a Web application which provides a measure of the weighted effort required of users. In this paper we describe a navigational design method aimed at minimizing this navigational entropy. The approach uses a theoretical navigational depth for the various information and service components to moderate a nested hierarchical clustering of the content. Lowe, DB & Kong, X 2005, 'Applying NavOptim to Minimise Navigational Effort', Proceedings: the 14th International World Wide Web Conference (WWW 2005), International World Wide Web Conference, acm Press, Chiba, Japan, pp. 1056-1057. Web applications have rapidly become critical to the interaction that organisations have with their external stakeholders. A major factor in the effectiveness of this interaction is the ease with which users can locate information and functionality which they are seeking. Effective design is complicated by the multiple purposes and users which Web applications support. In our earlier work we described a model for evaluating the weighted effort required of users. In this paper we describe an approach to minimizing this navigational effort. Web applications have rapidly become critical to the interaction that organisations have with their external stakeholders. A major factor in the effectiveness of this interaction is the ease with which navigation within the application can occur, and especially the extent to which users can locate information and functionality which they are seeking. Effective design is however complicated by the multiple purposes and users which Web applications typically support. Despite the fact that this implies that navigation design is inherently an optimisation problem, few optimisation techniques have been applied in this domain - with most design techniques being based on intuition, general heuristics, or experimental refinement. In this paper we discuss this problem, and propose a navigation representation which can become the basis for optimisation techniques.